Hey Dad, You may have your own idea of fun, but it's your day, so spend it however you want. Happy Birthday! 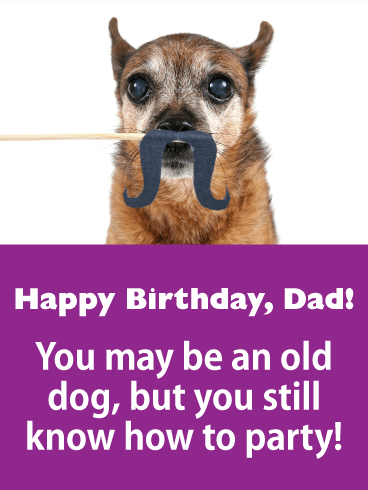 Show your father where he ranks in your life with this #1 Dad birthday card! 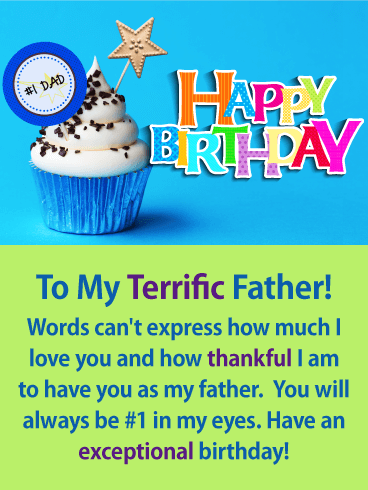 It creatively lets him know that he comes first in your life by using this perfect cupcake to display the words #1 Dad! It will certainly put a smile on his face. 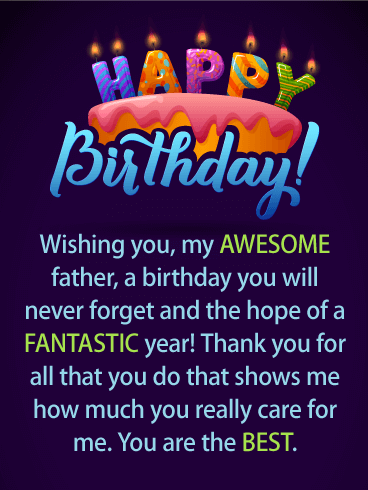 The special message expresses how thankful you are that he is your father and that you wish him an exceptional birthday! 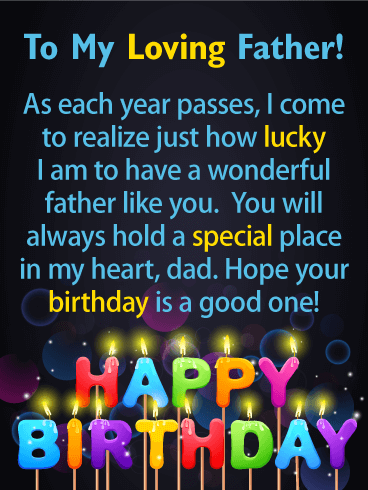 Send this fantastic birthday card to your father to get his celebration off to a great start! Does your father love dogs? He will after he sees this adorable birthday dog who is eagerly waiting for the celebration to start! 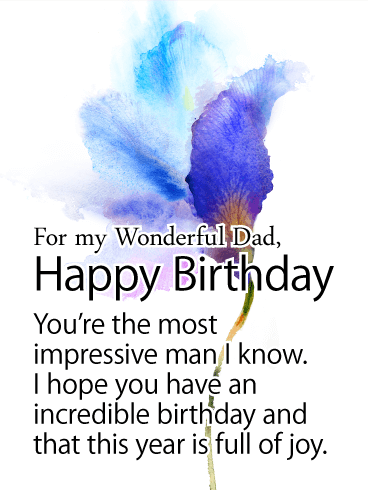 Your father will enjoy receiving this birthday card that was sent by you, his child. It features colorful lettering that spells out Happy Birthday, and features a fancy birthday cake! 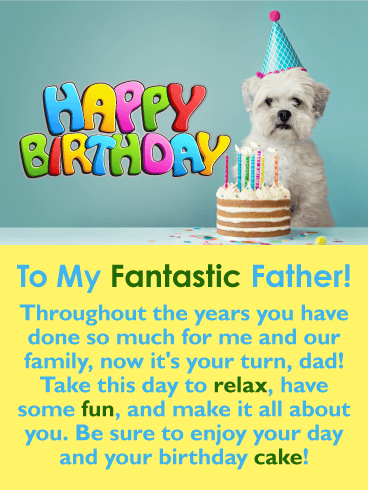 This birthday card expresses that you want your father to have an enjoyable birthday! 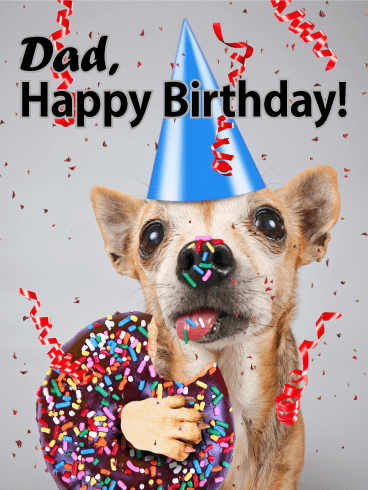 Send this little dog and birthday cake to your father so he can start the celebration! 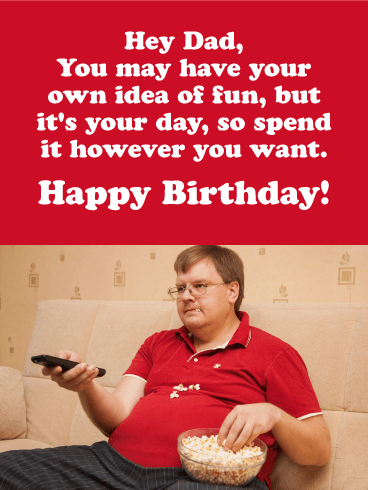 Help your father get ready for his big celebration by sending him this festive birthday card. It will remind him that he will soon be enjoying birthday cake, balloons, and gifts. It creatively showcases these items which will get your dad excited about the festivities of the day! Your father will really appreciate that you picked this special birthday card out just for him. So don't delay, send the cake and balloons out today. This birthday card has it all, vibrant colors, a decorative cupcake, a birthday candle, and a thoughtful message. 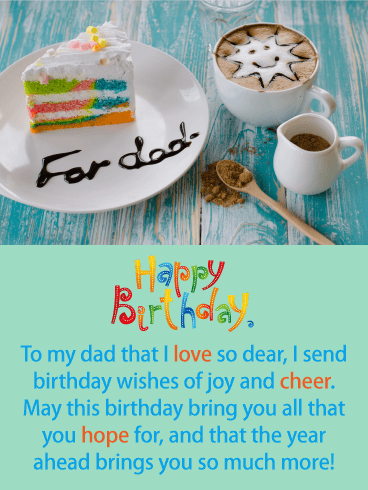 You can't go wrong if you send this greeting card to your father on his birthday! It looks great and it will fill him with joy. 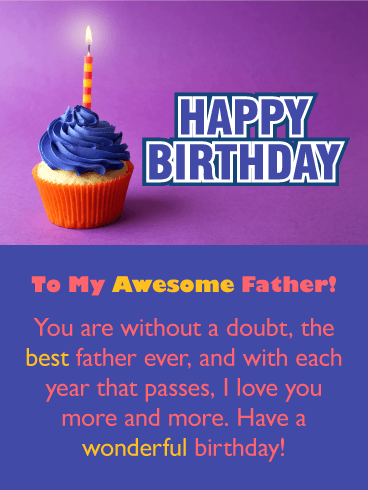 This birthday card tells your father that he is the best, and that with each year that passes, you love him even more! 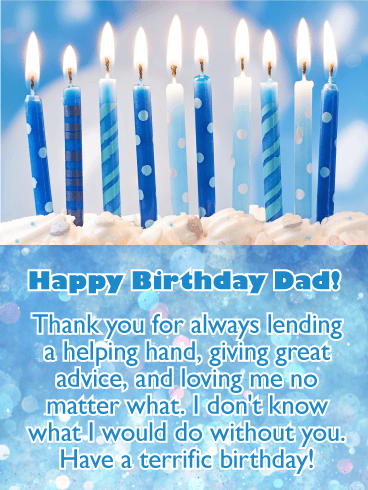 Make your father's day by sending this birthday card out today! Looking for a birthday card for your father that will stir up great memories from the past, you have found it! This amazing birthday card features a fun image of a boy and his father spending quality time together. Looks like they are having a great time! 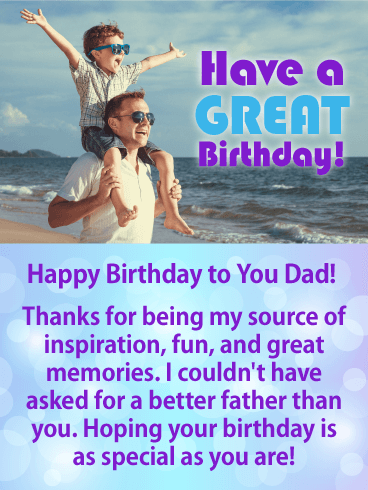 The birthday message thanks your dad for being your source of inspiration, fun and great memories. 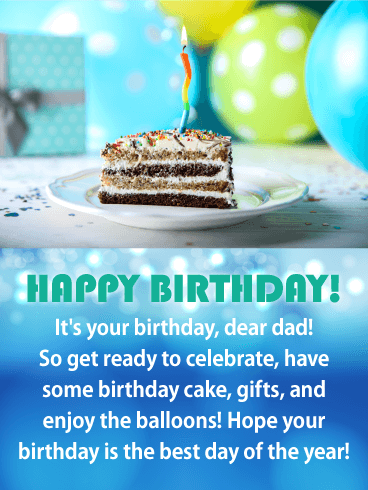 He will appreciate that his son is sending him such a thoughtful birthday card on his big day!